This is the final article for the Child-Ready Marriage series, Dealing with Conflicts. We’re hoping that you have discovered ways to improve your communication and deal with conflicts. With these skills in place, you will be better able to parent your children together. In the last article we discussed Solvable vs Perpetual Problems In this article we’re going to discuss Repair and Compromise. All couples have disagreements that turn negative. What we do when we realize it is headed for anger and hurt feelings, can make all the difference. This is the point where we can make a Repair Attempt. It won’t always work, but the more you practice the attempt and the repair, the better your communication will become with each other. We make an attempt at repair when we try to stop emotions from getting out of control or words from becoming angry and hurtful or hostile actions from starting. One partner says something calming or reasonable or asks for a break. A repair happens when the other partner accepts the attempt and responds appropriately to the attempt. The goal here is to calm down so you can find common ground from which to find a solution or compromise. Please click, Gottman Repair Checklist for your copy of ways to attempt a repair. 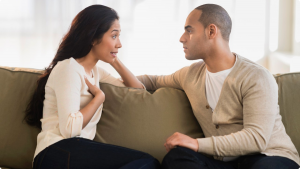 You may want to look at it and see possible ways to attempt a repair in arguments you and your spouse have. These will feel really strange to use at first, but as you practice them, they will significantly shorten and de-escalate your arguments. Whether our conflict is solvable or perpetual, compromise is necessary. If it is on the level of an irritation that causes frustration, the solution can be reached just by mutual agreement of a change to be made. But when the conflict is more serious or a recurring perpetual problem, a compromise is necessary to find a workable solution for the time being. Compromise is defined by Mike Constantine as “A mutual adjustment for the sake of improvement.” This means neither one gets their way 100% or gives in 100%. It means both choose to yield in some ways to improve the relationship. Please get your copy of, The Compromise Exercise. The Compromise Exercise is a good one to discover areas where we can and cannot yield. Each of you takes a copy of the exercise. Carefully consider your beliefs and your limitations concerning the issue at hand. In the center circle, write your most minimal core areas on which you cannot yield. Remember, you cannot have it all. But what part are you unable to yield? In the outside circle, write those parts of the situation on which you can yield. When you are both ready, compare your charts. You may not have been aware of your spouse’s core areas on which they cannot yield. This gives you a chance to discuss why this is so vital to your spouse. With understanding, compromise is easier. You may easily see the parts you each can yield and a way to solve the problem for now or even permanently. If you get to this point and you cannot find a solution yourselves; please talk to a counselor, pastor, or a wise friend you both trust. From another view point, often a path can be seen to peace that is hard to find when you are in the midst of conflict. Don’t let something like this simmer and destroy your friendship and your marriage. Nothing is worth that kind of damage. Continue to deepen your love for your spouse by always learning more and better ways to reach their heart. Build your friendship. If you have questions or comments you would like to make, please email, Diane.